There are three levels of the ISEE. The Lower Level ISEE is for students currently in grades 4 or 5 applying to attend grades 5 or 6 next year, the Middle Level ISEE is for students currently in grades 6 or 7 applying to attend grades 7 or 8 next year, and the Upper Level ISEE is for students currently in grades 8-11 applying to attend grades 9-12 next year. 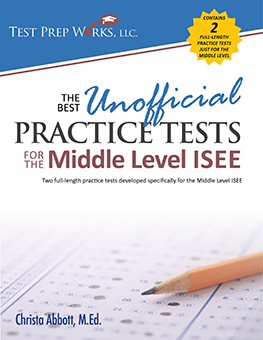 We offer three test prep books for the Lower Level ISEE, two for the Middle Level ISEE, and two for the Upper Level ISEE. Each is tailored specifically to the individual test. Each of the following links brings you to the Amazon.com page where the book is available for purchase. 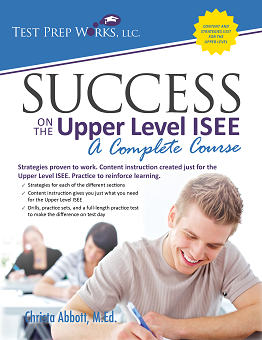 Success on the Lower Level ISEE — A Complete Course: This book includes vocabulary lessons, complete strategies for each section (including quick drills to reinforce concepts), and in-depth content instruction for the math section including practice sets — all designed to be appropriate for the Lower Level ISEE. It also includes a full-length practice test. 30 Days to Acing the Lower Level ISEE: This book includes 15 workouts that are ideal for practice. 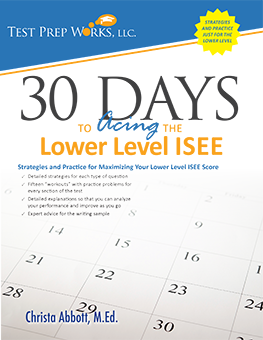 Each workout takes about half an hour and includes a vocabulary lesson along with practice for each multiple-choice section of the test. 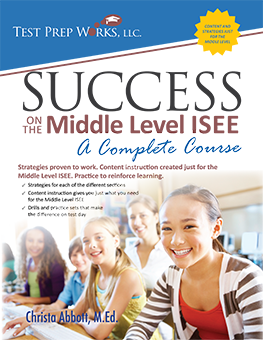 Success on the Middle Level ISEE — A Complete Course: This book is full of content designed specifically for the Middle Level ISEE — including vocabulary lessons, strategies for each section (each with reinforcing drills), and extensive math content instruction with practice sets. 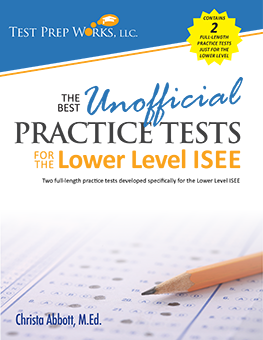 A full-length practice test is included at the end of this book. 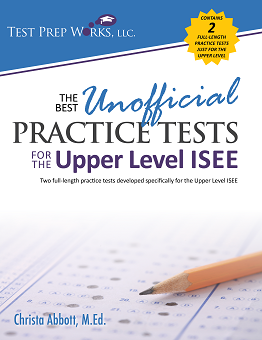 Success on the Upper Level ISEE — A Complete Course: This book provides instruction and practice developed to help students prepare for the Upper Level ISEE — including vocabulary lessons, strategies for each section (each with reinforcing drills), and extensive math content instruction with practice sets. 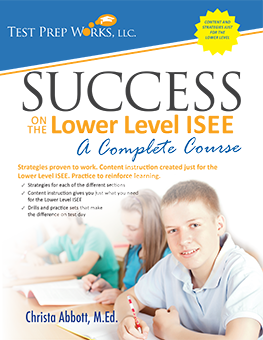 A full-length practice test is included at the end of this book.